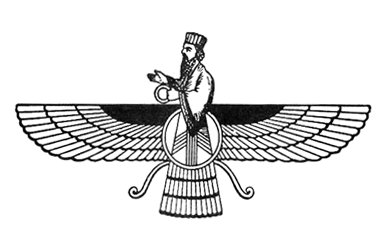 The practice and study of medicine in Persia has a long and prolific history. The Iranian academic centers like Gundeshapur University (3rd century AD) were a breeding ground for the union among great scientists from different civilizations. These centers successfully followed their predecessors’ theories and greatly extended their scientific research through history. Persians were the first establishers of modern hospital system. Safavid lacquer work illustrating a physician taking the pulse of a patient. From a 17th-century copy of Avicenna’s Canon of Medicine. Wellcome Library, London. The medical history of ancient Persia can be divided into three distinct periods. The sixth book of Zend–Avesta contains some of the earliest records of the history of ancient Iranian/Afghani medicine. The Vendidad in fact devotes most of the last chapters to medicine. Although the Avesta mentions several notable physicians, the most notable–Mani, Roozbeh, and Bozorgmehr—were to emerge later. The first teaching hospital was the Academy of Gundishapur in the Persian Empire. Some experts go so far as to claim that, “to a very large extent, the credit for the whole hospital system must be given to Persia”. According to the Vendidad, physicians, to prove proficiency, had to cure three patients of the followers of Divyasnan; if they failed, they could not practice medicine. At first glance, this recommendation may appear discriminant and based on human experimentation. But some authors have construed this to mean that, from the beginning, physicians were taught to remove the mental barrier and to treat adversaries as well as friends. The physician’s fee for service was based on the patient’s income. The practice of ancient Iranian medicine was interrupted by the Arab invasion (630 A.D.). However, the advances of the Sassanid period were continued and expanded upon during the flourishing of Islamicate sciences at Baghdad, with the Arabic text Tārīkh al-ḥukamā crediting the Academy of Gondishapur for establishing licensure of physicians and proper medical treatment and training. Many Pahlavi scripts were translated into Arabic, and the region of Greater Iran produced physicians and scientists such as Abū ʿAlī al-Ḥusayn ibn ʿAbd Allāh ibn Sīnā and Muhammad ibn Zakariya al-Razi as well as mathematicians such as Kharazmi and Omar Khayyám. They collected and systematically expanded the Greek, Indian, and Persian ancient medical heritage and made further discoveries. Muhammad ibn Zakariya ar-Razi, known to the West as Rhazes, and Ibn Sina, better known as Avicenna, were not only responsible for accumulating all the existing information on medicine of the time, but adding to this knowledge by their own astute observations, experimentation and skills. “Qanoon fel teb of Avicenna” (“The Canon”) and “Kitab al-Hawi of Razi” (“Continens”) were among the central texts in Western medical education from the 13th to the 18th centuries. In the 14th century, the Persian language medical work Tashrih al-badan (Anatomy of the body), by Mansur ibn Ilyas (c. 1390), contained comprehensive diagrams of the body’s structural, nervous and circulatory systems. Evidence of surgery dates to the 3rd century BC when the first cranial surgery was performed in the Shahr-e-Sukhteh (Burnt City) in south-eastern Iran. The archaeological studies on the skull of a 13-year-old girl suffering from hydrocephaly indicated that she had undergone cranial surgery to take a part of her skull bone and the girl lived for at least about 6 months after the surgery. Several documents still exist from which the definitions and treatments of a headache in medieval Persia can be ascertained. These documents give detailed and precise clinical information on the different types of headaches. The medieval physicians listed various signs and symptoms, apparent causes, and hygienic and dietary rules for prevention of headaches. The medieval writings are both accurate and vivid, and they provide long lists of substances used in the treatment of headaches. Many of the approaches of physicians in medieval Persia are accepted today; however, still more of them could be of use to modern medicine. ^ Behrouz R, Ourmazdi M, Reza’i P. Iran—The cradle of science. 21st ed., Iran Almanac, 1993, p. 115–8. ^ 2. M. Meyerhof, Science and medicine. In: T. Arnold and A. Guillaume, Editors, The legacy of islam, Oxford University Press, London (1952), pp. 314–315. ^ Cyril Elgood (1951). A Medical History of Persia and the Eastern Caliphate. London: Cambridge University Press. doi:10.1017/CBO9780511710766. ISBN 9780511710766. ^ Mohammadali M. Shoja, R. Shane Tubbs (2007). “The history of anatomy in Persia”. Journal of Anatomy. 210 (4): 359–378. doi:10.1111/j.1469-7580.2007.00711.x. PMC 2100290. PMID 17428200. ^ For the Vendidad and Persian Medicine in general, see Darmesteter trans of The Zend-Avesta, Part I, Sacred Books of the East, Vol 4. Geschichte des Alten Persians, 1897. Dinkart: History of Antiquity Vol I. ^ Printed since in two Vols., 1874 and 1910. ^ Medicine throughout Antiquity. Benjamin Lee Gordon. 1949. p. 296, 306. ^ Medicine throughout Antiquity. Benjamin Lee Gordon. 1949. p. 296, 304. ^ C. Elgood, A medical history of Persia, Cambridge Univ. Press. p. 173. ^ M.Najmabadi, History Of Medicine in Persian, p. 233. ^ R. Majdari, Medical License And Profession In Ancient Iran, Borzouyeh, September 95, p. 42. ^ Mohammad-Hossein Azizi. History of Ancient Medicine in Iran. Arch Iranian Med 2007; 10 (4): 552–555. ^ C. Elgood. In: A medical history of Persia and the eastern caliphate from the earliest times to the year 1932 AD 1932, Cambridge University Press, London (1951), p. V.
^ C. Elgood. In: A medical history of Persia and the eastern caliphate from the earliest times to the year 1932 AD 1932, Cambridge University Press, London (1951), pp. 205–209. ^ N.G. Siraisi. In: Avicenna in Renaissance Italy: the Canon and medical teaching in Italian universities after 1500, Princeton University Press, Princeton (1987), pp. 77–124. ^ W. Osler. In: The evolution of modern science, Yale University Press, New Haven (1921), p. 243. ^ Sajjadi SM. First brain surgery in 4800 years ago in Iran. In: Iran News Agency [online]. Available atwww.irna.com. Accessed January 2, 1999. ^ S Safavi-Abbasi, LBC Brasiliense, RK Workman (2007), “The fate of medical knowledge and the neurosciences during the time of Genghis Khan and the Mongolian Empire”, Neurosurgical Focus 23 (1), E13, p. 3. ^ Medicine throughout Antiquity. Benjamin Lee Gordon. 1949. p. 306. ^ Edward Granville Browne, Islamic Medicine, Goodword Books, 2002, ISBN 81-87570-19-9 p. 79.